Sea Buckthorn Insider | Cancer Prevention and Treatment: Can Sea Buckthorn Help? Cancer Prevention and Treatment: Can Sea Buckthorn Help? One of Sea Buckthorn’s primary applications in holistic medicine is its use in cancer prevention and treatment. This berry is unique in that its nutritional qualities are well-rounded, complex, and outright extraordinary. Loaded with Vitamins C and E, a number of essential flavnoids, and essential fatty acids, herbal doctors in Asia have used the berry as treatment for thousands of years. New studies indicate that Sea Buckthorn may have positive effects on cancer patients. Both cancer prevention and cancer treatment may be enhanced through this dietary supplement and herbal remedy. To the health conscious individual interested in maintaining a healthy cellular makeup that increases immunity and longevity, Sea Buckthorn just might be truly beneficial. The essential nutrients found in this classic eastern remedy have been known to fight free radicals and boost immunity. These two aspects alone might mean Sea Buckthorn is an effective, all-natural means of treating cancer before it happens. To learn more about sea buckthorn for general health and immunity, click here. Essential Nutrients – Sea Buckthorn’s nutrient makeup is complex. 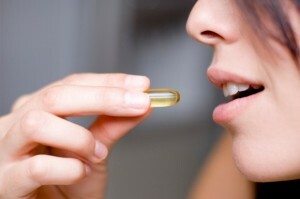 Its three main benefits boil down to vitamins, flavanoids, and essential fatty acids. Many studies suggest that Vitamin E is tied to prostate cancer. The berry is loaded with it. Vitamin C has been touted as a cancer treatment, though those studies have been hotly disputed. Flavanoids have been thought to fight cancer cells and may be a cancer preventer. EFA’s, especially linoleic acid (Omega-6), are prevalent in Sea Buckthorn berries as well. Free Radicals – Free radicals are basically cellular waste. This waste may collect throughout the body, and could facilitate the development of cancer cells in the body. The antioxidant content in Sea Buckthorn may help flush free radicals from the body, preventing cancer down the road. Immunity – Studies have shown that Sea Buckthorn’s nutritional components, especially vitamins C and E, may have a positive impact on your body’s immune properties, and conditions that may prevent cancer’s foothold on your body. This traditional Asian medicine may have applications for patients that wish to boost their immune systems in the wake of radiation treatment and chemotherapy. 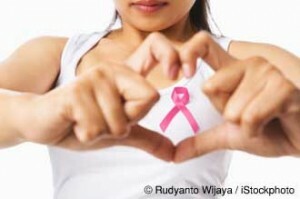 Cancer treatment can be extremely destructive upon the human body, especially its immune system. Sea Buckthorn contains numerous nutrients that are known to boost your immunity, possibly easing recovery from cancer treatment. Radiation and Cancer – The last resort treatment for cancer is radiation, which essentially microwaves cancer cells, hopefully directly. This form of treatment, in many cases, may kill the patient before the cancer does. Proper nutrition during treatment is absolutely essential for the body to continue functioning. Sea Buckthorn may prove to be an effective aid for radiation treatment recovery. Learn more about sea buckthorn as an anti-radiant here. The Importance of Immunity – As mentioned above, immunity is key in fighting cancer, especially after the inherent toxic effects of chemotherapy kick in. Boosting the immune system with Sea Buckthorn may aid recovery for cancer treatments. It is a small berry with unusually dense nutritional content. This all-natural supplement simply provides great nutrition in small quantities, making it a potential ideal food for cancer patients with lowered appetites and increased nutritional needs. 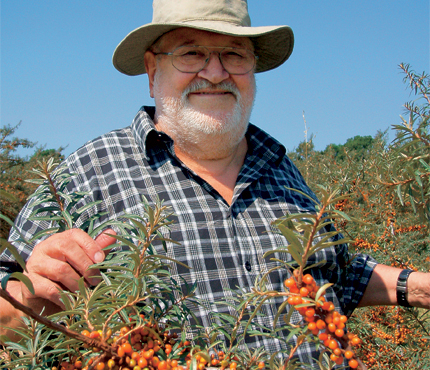 Learn more about sea buckthorn during chemotherapy here. 2 Responses to Cancer Prevention and Treatment: Can Sea Buckthorn Help? Hi I’m from Singapore. I would like to buy seabuckthorn oil. How do i order? How much in sgd? If you click on sponsor ads, you should be able to find out where they ship to and how to order.